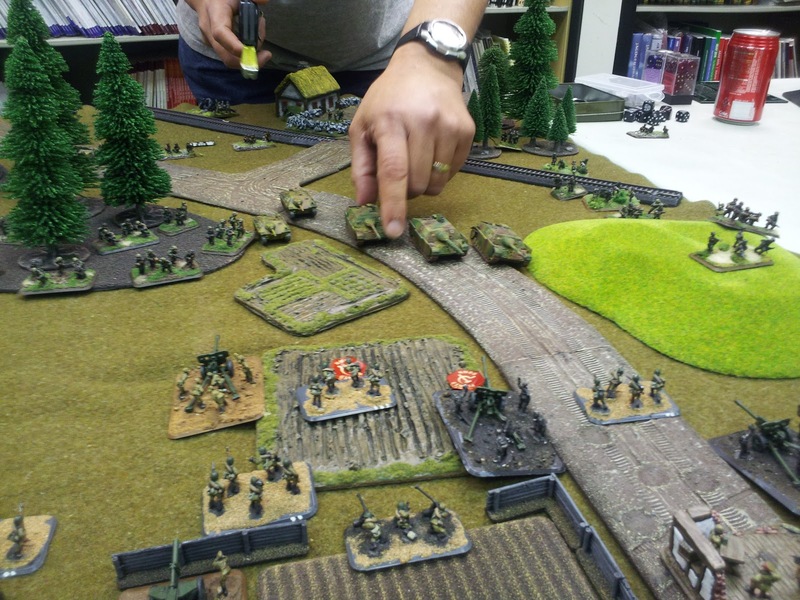 Flames of War Game I had with my friend Richard. I lucked out and got to defend. 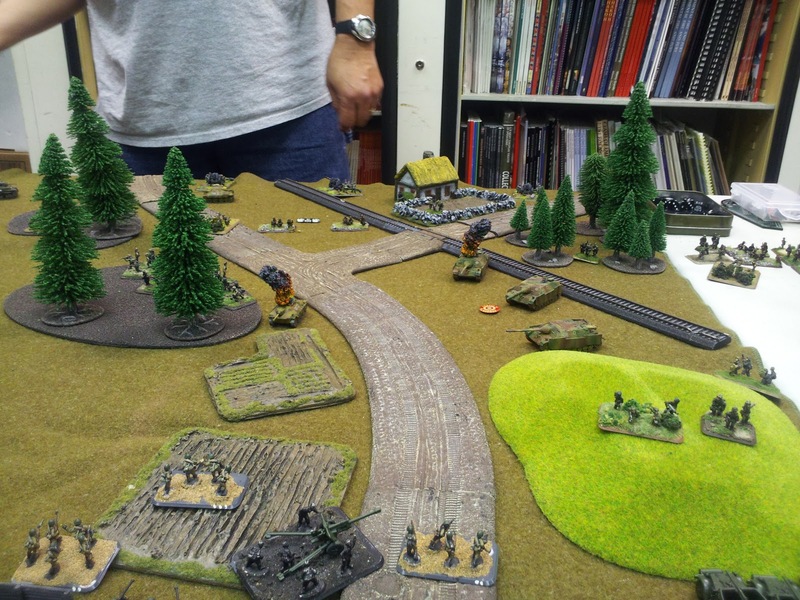 His German infantry FV vs my Soviet infantry list CT. 1750pts. Late War. 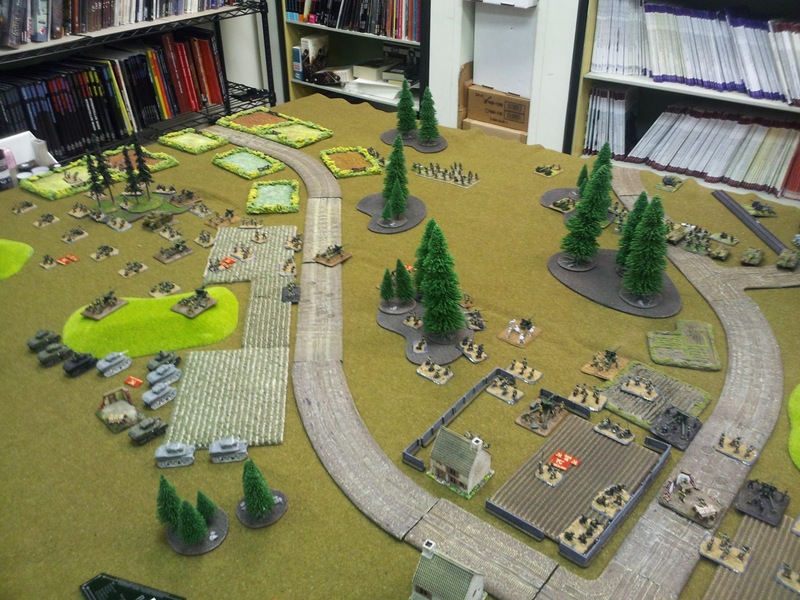 After I had placed my units, he set up a heavy attack on my front right flank area. thank goodness I had one ambush platoon of 100mm AT guns, which I hoped would stop him in his tracks before he got into knife range. 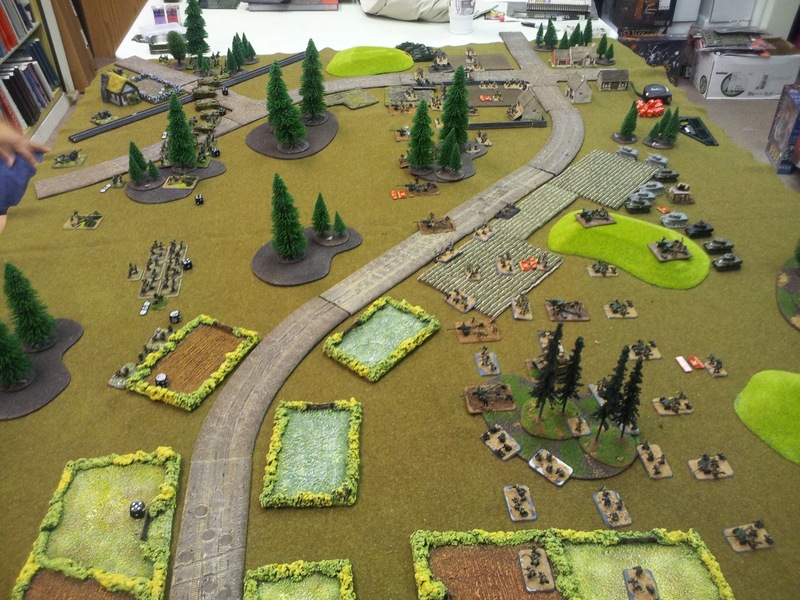 German pushes up the right with infantry moving on both sides of his assault guns for two turns. I waited to ambush with my 100mm AT the line of sight was pretty bad for my AT guns when I finally got them out there. I killed one Hetzer then killed a few stands on the Green hill. He maneuvered his Hetzers away and the 70s away. 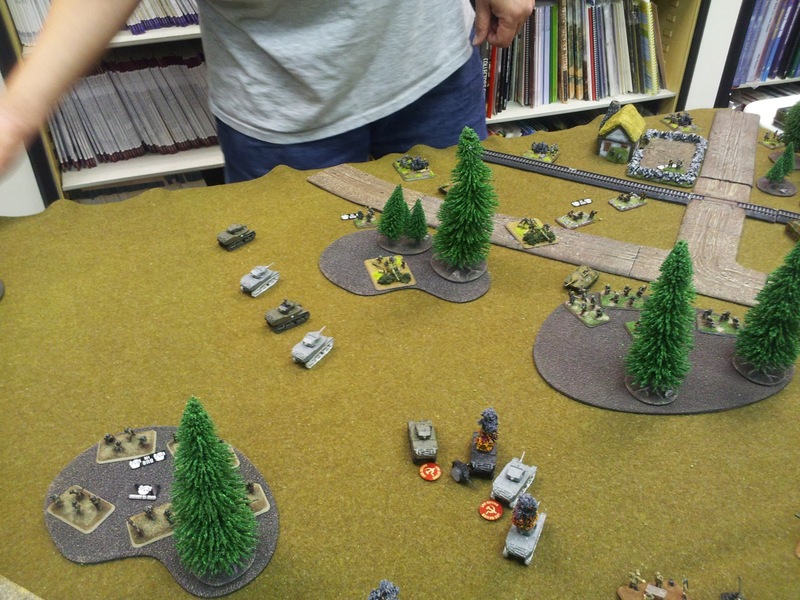 My artillery was not hitting a thing, though I got another hit in and knocked out one of his larger assault guns. 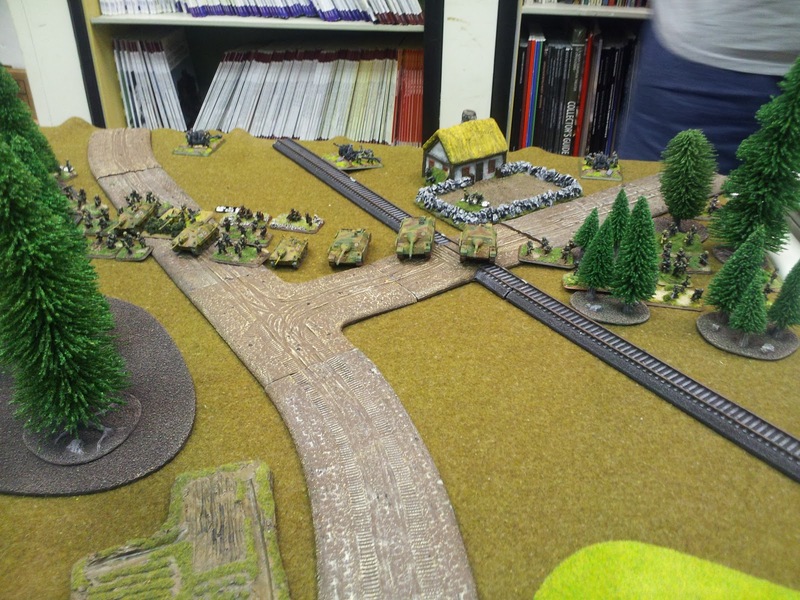 There was little action on my left flank, with germans dug in a wood line, I tried moving my left infantry towards them. He did have an MG platoon supporting is pioneers holding ground. I deside to rush his gun lines with 6s needed to hit with my main gun and 5s with MG fire. I did knock out one pak40. 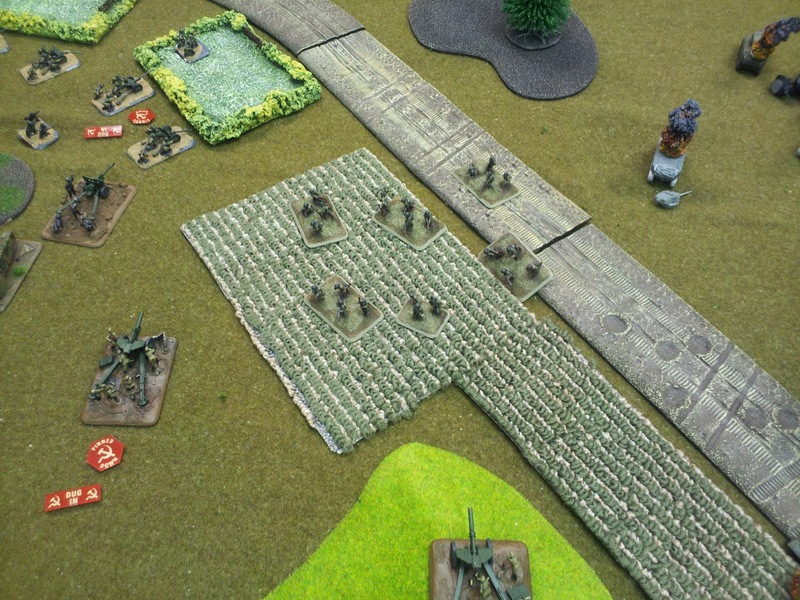 Then moved farther up to try to get to the rear of his gun line. Sadly he broke the Stuarts. 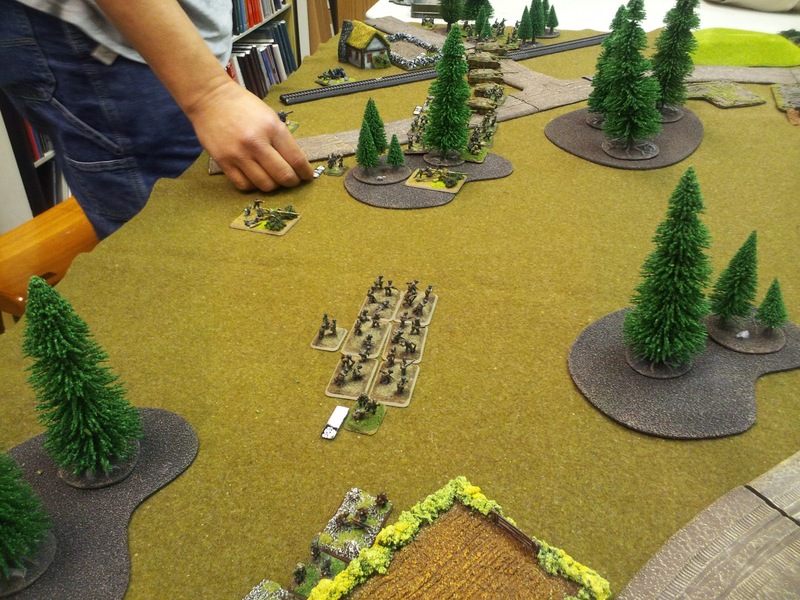 German Pioneers run over part of my 45mm AT and God of War gun line in the center. 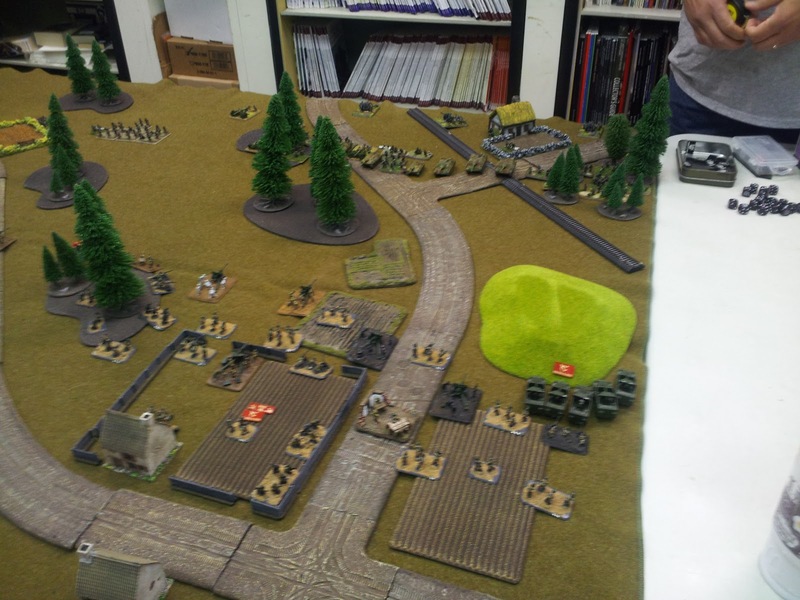 This was it, I had to unpin my artillery while I rushed my right infantry over to the center objective that was behind the hill with the 122mm artillery. He failed to kill the two guns on the hill after he charged up with 6 stands. 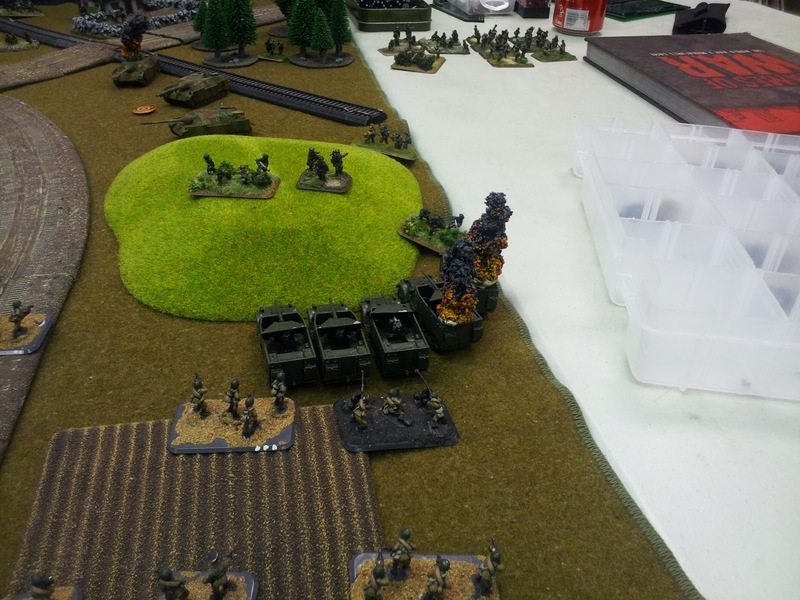 My two shots from the 122mm killed two of his stands on defensive fire. Over all we both had a good time playing and it was pretty hard fight for the both of us. I had one destroyed platoon and he had three if I am not mistaken. I can't wait for another game soon enough.